Home Music Tyga Lure Hip-Hop On His New Freestyle: Best Rapper Alive ? Tyga Lure Hip-Hop On His New Freestyle: Best Rapper Alive ? Extremely on a strong believe about his bars but after listening to Tyga's new freestyle then you have yourself judging him if he merit what he is seeking or may be got that. unforeseen freestyle hit on Power 106 and it also give a clue that the rapper up to something in studio. In the Fstyle,we do hear the Ex to Kylie Jenner saying his is the best rapper may Eminem Jay-Z and more of the popular rapper should come for rap battle ? Listen to the Freestyle below and also remember that the same rapper at least has dropped some songs previously even with his swirling new girlfriend whose name is Iggy Azalea though he got Top record on Billboard in a collaboration penned with Offset. Is he trying to tempt Hip-Hop with the above freestyle,well we are still watching there will be a reply to his claim. 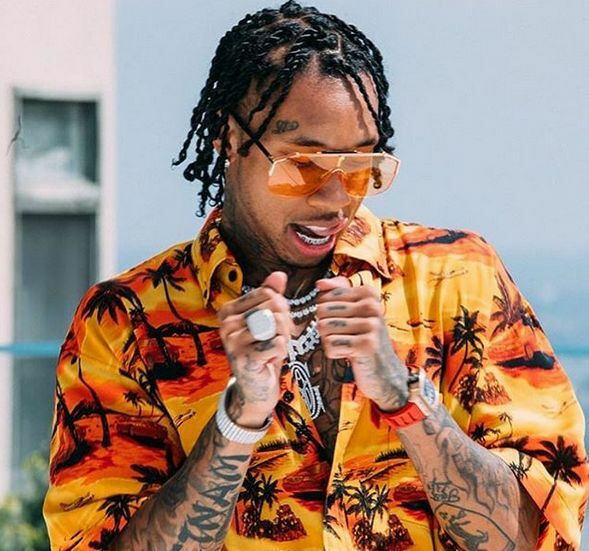 Tyga and his Ex-girlfriend split due to what Kylie Jenner claim on Tyga.She's now living with Travis Scott who recently drop his anticipating album “Astroworld”.